In 2011, the United States successfully overthrew the government of Egyptian President Hosni Mubarak amid the regional so-called Arab Spring. In place of President Mubarak’s government, rose the Muslim Brotherhood, a Gulf Cooperation Council (GCC) backed political front that has served their, and their Western sponsors’ interests for nearly a century post-Ottoman Empire. The Muslim Brotherhood was also instrumental in setting the stage for destabilization and eventually war in Syria. To no one’s surprise then, under the post-Arab Spring government led by the Muslim Brotherhood’s President Mohamed Morsi, Egypt immediately severed ties with allies including Syria, and immediately backed US-GCC regional projects including the overthrow of the Syrian government. In 2013, amid widespread street protests against the government, a military coup spearheaded by Egyptian army chief General Abedl Fattah el-Sisi, ousted President Morsi. In addition to a nationwide effort to liquidate the Muslim Brotherhood, Egypt’s new government immediately restored ties with the legitimate government of Syria. Egypt’s economy depends almost equally on trade between Europe and the Middle Eastern and North African region (MENA) and to a lesser extent, Asia and North America. It has also become heavily dependent on foreign aid. Until recently, it had depended on tens of billions of dollars from the GCC, and more specifically, Saudi Arabia. This aid did not come for free. Egypt was expected to back the GCC’s (and in turn, Washington’s) regional projects including the overthrow of the Syrian government as well as participation in Riyadh’s war in Yemen. 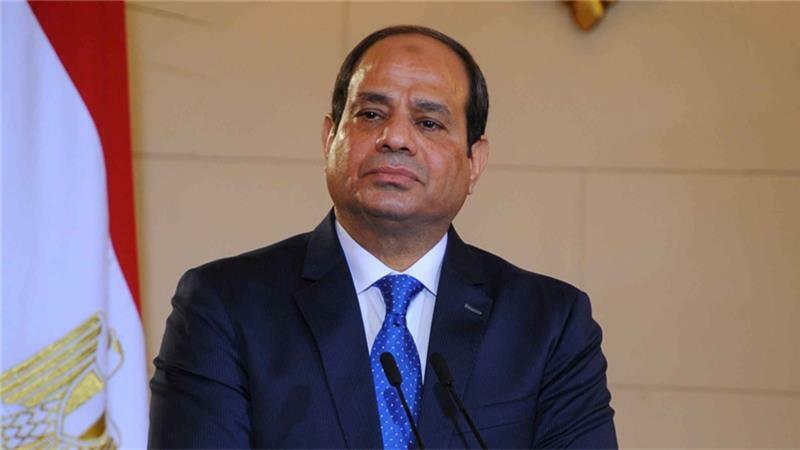 But as President Sisi liquidated the Muslim Brotherhood and gradually shifted Egypt’s support back behind Syria as well as withdrawing Egypt’s symbolic military forces from the Yemeni conflict, Riyadh gradually closed off foreign aid. Egypt now finds itself dependent on the International Monetary Fund (IMF) and facing a similar “carrot and stick” dilemma. To bolster Cairo’s leverage against its Western and Arab creditors, it has attempted to seek closer ties with Russia. This includes several arms deals, improving economic trade and even joint military exercises between the two nations. Perhaps more importantly than the dollar and cent values of these deals is the geopolitical impact of the most populous Arab nation providing increased political support for Russia as it carries out joint operations with Damascus in nearby Syria. While Egypt struggles economically, it still remains a potentially potent military power in the region. Analysts have observed that Cairo’s geopolitical and strategic contributions, even in limited supply, could help tilt the balance more decisively in Moscow and Damascus’ favor, rewriting the entire region’s balance of power. Even the prospective ability to do this could be enough to give Egypt breathing room to reestablish itself after its long, post-Arab Spring struggle. The Muslim Brotherhood still remains a threat in Egypt. Its US-GCC support lies beyond Egypt’s borders and constantly threatens to exploit any misstep Cairo might make. Such missteps are eagerly encouraged by the IMF, which has imposed difficult preconditions on Cairo in order to receive much needed aid. Additional taxes and the raising of energy prices provide the perfect pretext for foreign-backed opposition groups to take to the streets, creating once again the chaos that invited violence and turmoil in Egypt in 2011, and to a greater extent in neighboring Libya and nearby Syria. Egypt’s ability to stave off political instability while establishing a sustainable economy and suitable socioeconomic conditions will be key to preventing another upheaval in this immense, pivotal MENA state. Cairo is very likely aware of just how precarious its balancing act has become. Those nations that seek to make its crossing of this latest chasm easier will likely not only play a significant role in sharing Cairo’s future prosperity, but also benefit from the regional influence it will be able to project.